Disney Parks, Experiences and Consumer Products Chairman Bob Chapek earlier today revealed that the names of the two signature attractions set for Star Wars: Galaxy’s Edge when it opens in Disneyland next summer and at Walt Disney World in fall 2019 will be Millennium Falcon: Smugglers Run and Star Wars: Rise of the Resistance. Guests can take the controls in one of three unique and critical roles aboard Millennium Falcon: Smugglers Run. Here is the video that Chapek played at Destination D when he announced this attraction. And on Star Wars: Rise of the Resistance, guests will join an epic battle between the First Order and the Resistance, including a face-off with Kylo Ren. And this footage of Star Wars: Rise of the Resistance was shot inside the actual attraction. Of course when you think about Star Wars, the iconic music of legendary composer John Williams comes to mind. After announcing the new attractions Chapek also announced that Oscar-winning composer John Williams is creating new and original Star Wars themes exclusively for the land! The all-new music is being recorded by the London Symphony Orchestra at Abbey Road Studios. Here is a preview of the music along with construction progress at Disneyland and Disney’s Hollywood Studios. 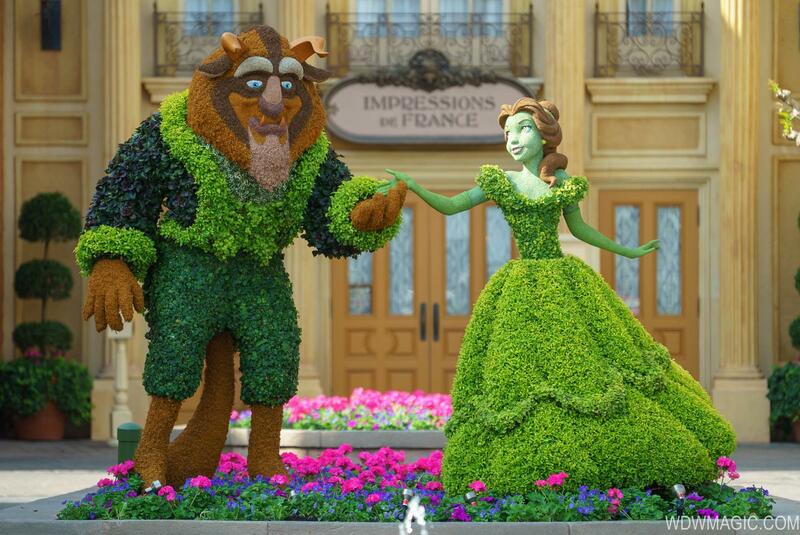 Chapek also announced that a new Beauty and the Beast sing-along attraction will be coming to Epcot’s France pavilion. This attraction will be using the existing theater, and playing in addition to Impressions de France. The brand new attraction is being created by Don Hahn, producer of the animated and live-action Beauty and the Beast films. 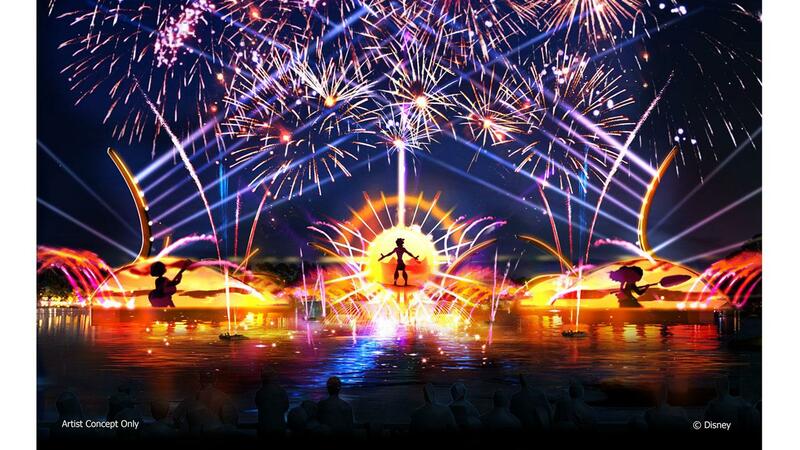 Also announced for Epcot was a new nighttime spectacular that is planned to open at the park in 2020. 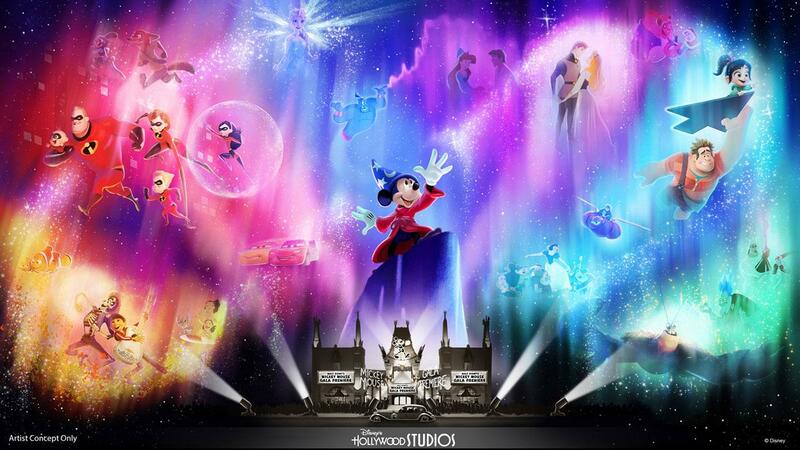 This new show will celebrate how Disney music inspires people around the world, and will feature massive floating set pieces, custom-built LED panels, choreographed moving fountains, lights, pyrotechnics and lasers. Before this new show opens, there will be a limited-time experience, called “Epcot Forever,” which will debut in fall 2019 after Illuminations closes and will feature classic Epcot tunes. 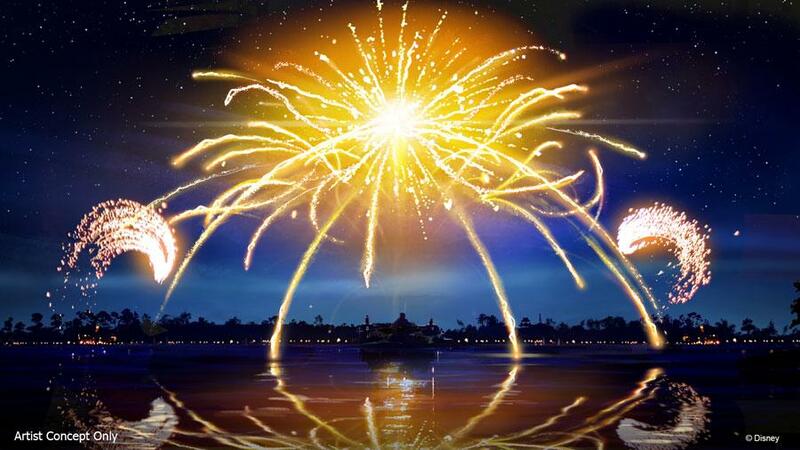 “Epcot Forever” will begin with a spark of imagination that swells into an epic spectacle of fireworks, music, lighting, lasers, and special effects kites. 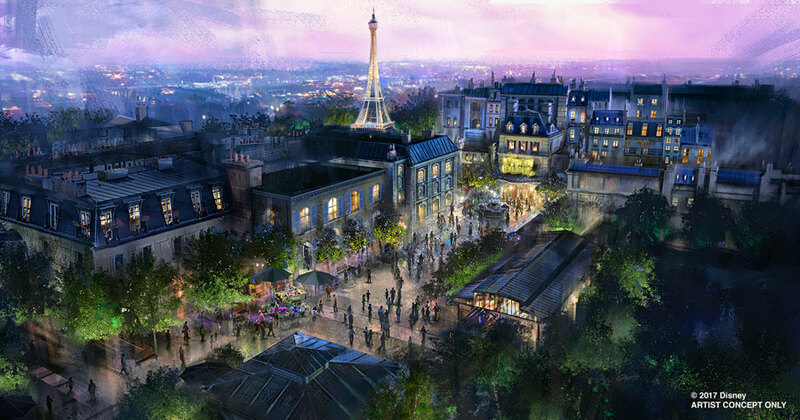 The last announcement for Epcot was the name of the “Ratatouille” experience coming to the France pavilion, which will be called Remy’s Ratatouille Adventure. This attraction which is based on the popular attraction found at Disneyland Paris is still some way off from its Walt Disney World debut. Right now Disney is saying that it will have a Spring 2020 opening. Chapek also announced that an all-new cinematic nighttime experience, “Wonderful World of Animation,” will debut at Disney’s Hollywood Studios in May 2019, as part of the park’s 30th anniversary celebration. Also announced for Disneyland was Get Your Ears On — A Mickey and Minnie Celebration, which will feature new entertainment, food and merchandise. On January 18, “Mickey’s Mix Magic” will light up the night at Disneyland with all-new music, projections and lasers that set the scene for an epic dance party that takes over almost the entire park. Chapek also shared that the beloved Mickey’s Soundsational Parade is set to return to Disneyland park in January 2019, with a new float with Mickey himself, who will lead the celebration down Main Street, U.S.A. 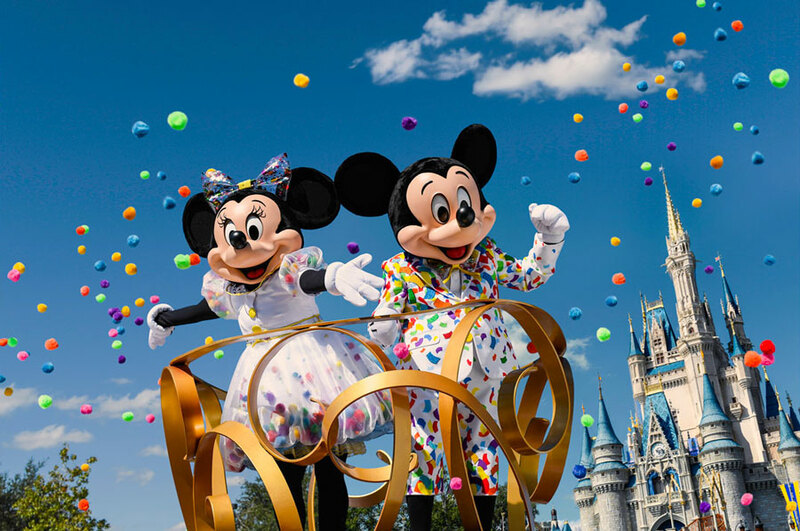 The party will get even bigger when the fan-favorite Mickey’s Soundsational Parade returns to the resort in January 2019 featuring a new float with Mickey himself, who will lead the celebration down Main Street, U.S.A.
During his presentation, Chapek unveiled details about Reflections – A Disney Lakeside Lodge. 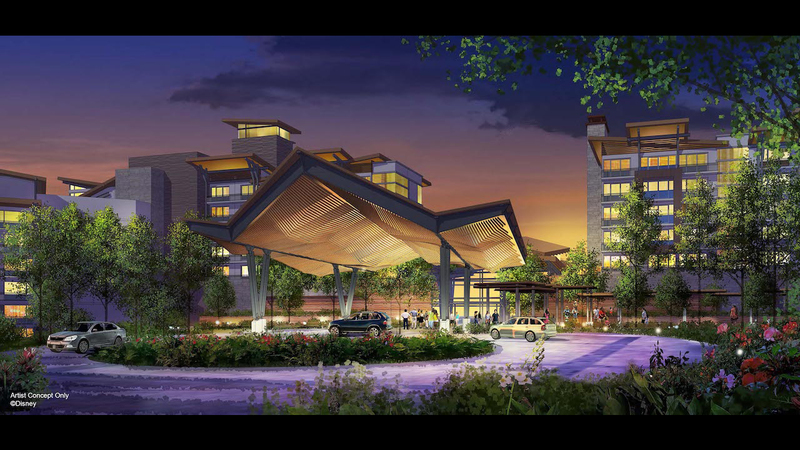 This will be a deluxe, nature-inspired resort that will feature more than 900 hotel rooms and proposed Disney Vacation Club villas. 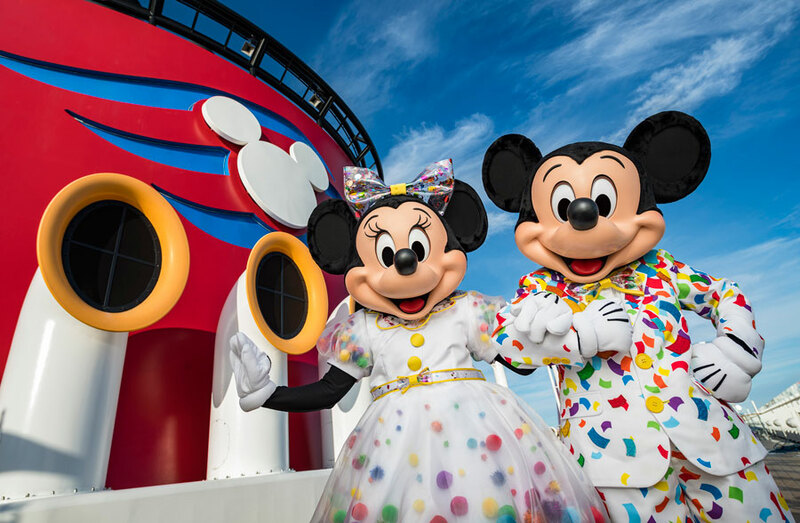 Not to be left out, Celebrate Your Favorite Mouse with Mickey & Minnie’s Surprise Party at Sea will be coming to Disney Cruise Line next summer. It certainly sounds like a fun day of announcements. I only wish I could have been there to experience all of the excitement live in person.